▶ SoldThis listing was sold on Mar 14, 2018 for the price shown here. 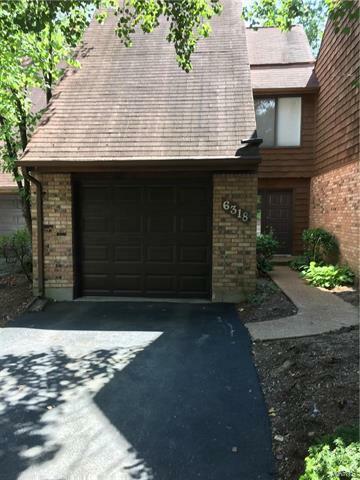 UPSCALE THREE BEDROOM CONDO, GENESEE PARK CONDOMINIUMS, OFF WELLS ROAD ACROSS FROM GOLF COURSE, AND LARGE ST. LOUIS COUNTY PARK, NEAR SUSON PARK, UNBELIEVABLE LOCATION. LARGE 1669 SQ. FT. THREE BEDROOM, THREE BATH UNIT, RECENTLY TOTALLY REMODELED, PAINTED AND UPDATED. NEW KITCHEN (GRANITE), 3 BATHS (GRANITE), UPDATED FLOORING, FIREPLACE, GARAGE, WITH TWO DECKS. NICE ARCHITECTURE, MUST SEE. NO YARD WORK, LIVE THE EASY LIFE IN THIS GREAT LOCATION. YOU CAN GO FHA OR VA ( ONLY 98.00 A SQ. FT.) FOR THIS LARGE HOME. TESSON FERRY ROAD ( HWY 21 ) SOUTH COUNTY TO WELLS ROAD, LEFT TURN ON WELLS 2 MILES TO HOLLOW WOOD, ENTER GENESEE PARK CONDOS, ONE BLOCK TO RIGHT TURN ON SPRIG OAK CT. PROPERTY ON RIGHT SEE ADDRESS. PULL UP MAP ON LISTING.